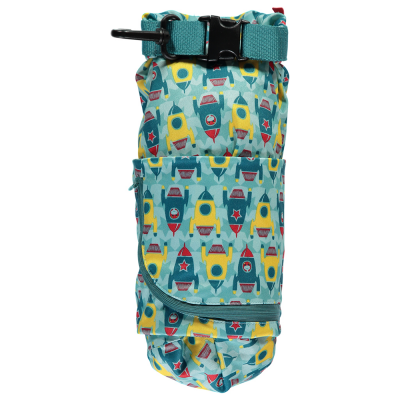 A wet bag ideal for around 2 nappies or lots of cloth pads. 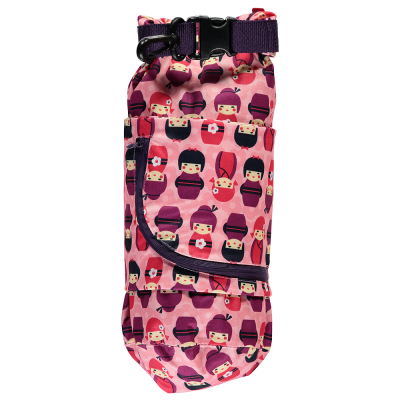 Keeps odours in, has a handy buggy clip and zip up outside pouch for storing wipes in. Make wet change bags a thing of the past! With tape-sealed seams and advanced fabric technology, Pop-in stuff sacks are a handy addition to any parent kit. You can use them to share and transport almost anything... a wet set of clothes, dirty nappies, cloth pads, swimwear, or a sicky muslin or two. Then simply roll the top and clip, safe in the knowledge that both odour and wetness will stay locked inside until laundry time. 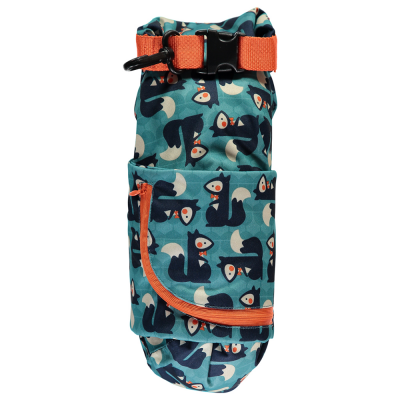 Now with a handy zip up pouch for storing your clean wipes in so that everything is on hand come change time.